Paper size: 46 x 38.8 cm. / 18.1 x 15.3 in. Image size: 34.6 x 27 cm. / 13.6 x 10.6 in. Additional Information: This etching and aquatint in colours with roulette is hand signed by the artist “T. 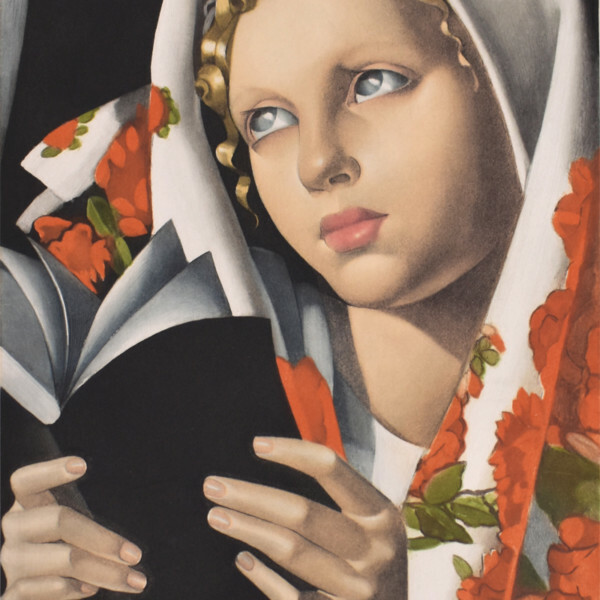 de Lempicka” in the lower right margin. It is also hand signed in pencil from the edition of 200, at the lower left margin. 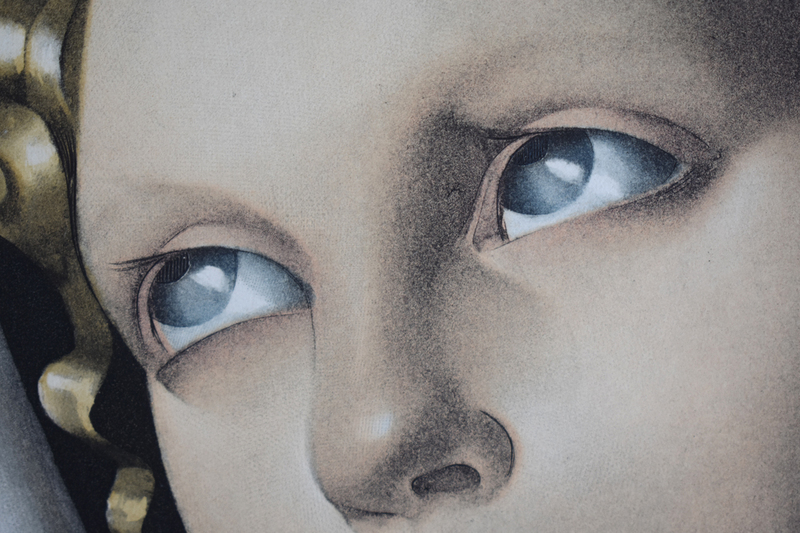 The work was printed in a limited edition of 200 signed and numbered impressions. 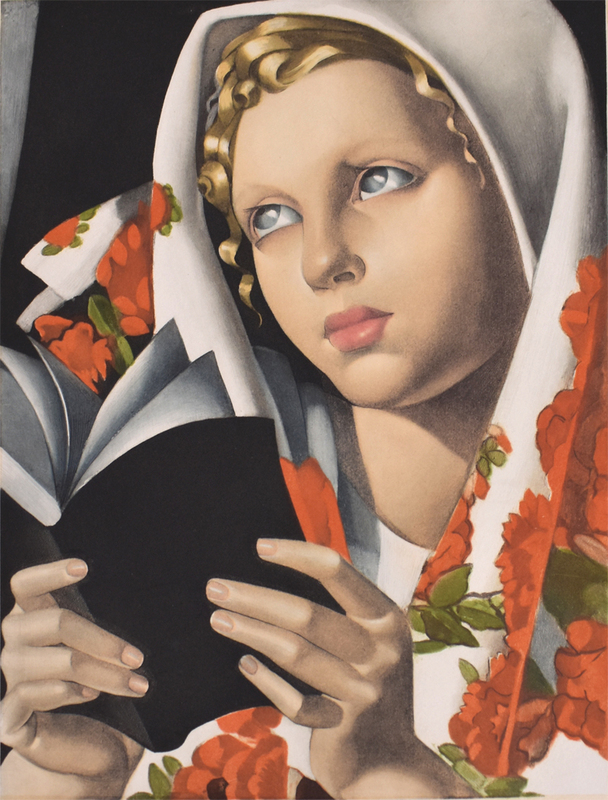 The work is based on two works by Lempicka exploring the subject of the Polish Girl. The first is known as Polonaise whilst the latter, which more closely resembles the etching and aquatint is known as La Messe. Both were painted in 1933 and the model for the female portrait is believed to be the artist’s daughter Kizette. Blondel, A. (1999). 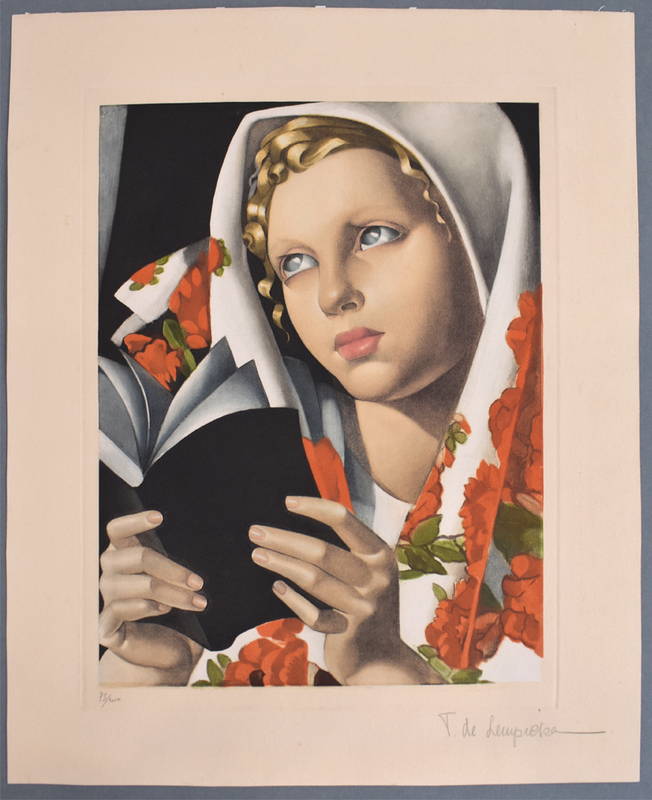 Tamara de Lempicka: Catalogue Raisonné 1921-1979. Lausanne: Acatos. Condition: Very good condition. Sheet is lightly toned in the margins. Remnants of hinging along the upper sheet edge.